Ali Baba Lounge is northeastern Pennsylvania's premiere nightlife destination. The club regularly hosts internationally accredited talent for live performances and meet and greets. Ali Baba Lounge has become a staple in nightlife for Pennsylvania and attracts patrons from miles around. Ali Baba Lounge hosts bachelor/bachelorette parties & birthdays parties. The lounge’s sister venue, Omnia Lounge, hosts teen parties & private events such as Sweet 16’s, Quinceañera’s, corporate events, bar-mitzvahs, baby showers, and more. 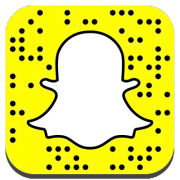 To stay up to date with Ali Baba Lounge, follow us on SnapChat at “@alibabawb”.